Here are few things I have made or have contributed to. They are roughly in reverse chronological order of involvement. flycheck, a GNU Emacs plugin for syntax-checking code and reporting diagnostics in the buffer. I’ve been helping around as a co-maintainer since the original author’s departure. It has support for over 40 different programming languages, and is one of most-downloaded Emacs plugin on MELPA. QUELTRIS, our (with merwaaan) Ludum Dare 43 jam entry. A mashup between match-3 and Tetris where you arrange believers in patterns to quench the thirst of your impatient South-American god. I wrote about the design decisions behind it. 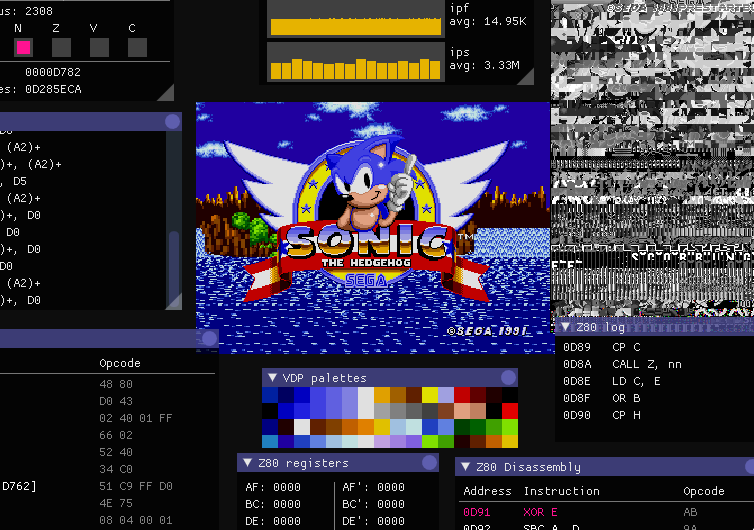 megado, a MegaDrive emulator in C made by merwaaan. It has nice debugging features, snapshots, and is starting to play quite a few games, though it’s far from accurate. I’m helping around with infrastructure: making it build on Linux, continuous integration, sanitizers and the like. I’m also working on emulating both sound chips. Bright Plateau, a short puzzle game made in 72 hours for the Ludum Dare 39 jam, in duo with merwaaan. 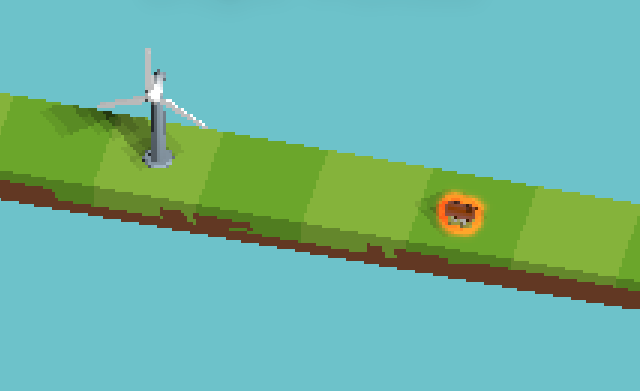 You have to power up houses by placing generators on the plateau. This time we went 3D with THREE.js, and, although exhausted, we were quite satisfied with how the game turned out. I wrote a post-mortem about it. gbs, a GameBoy Sound player written in Rust. 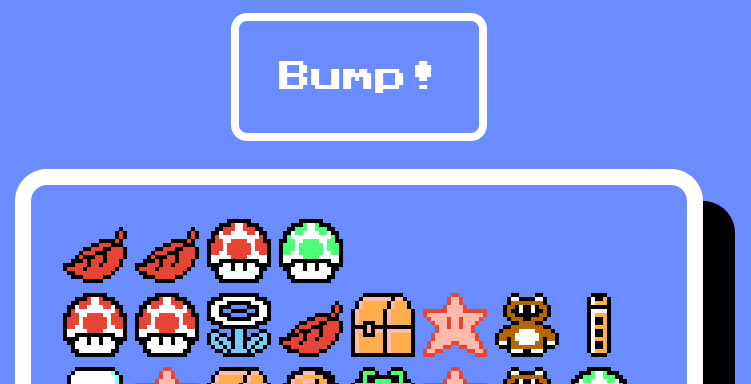 My first attempt at GameBoy audio emulation for boyo.js was a mess, and I started from scratch in Rust. Once I got it working there, I ported it to JS. It’s not an actual player: it just writes GBS input files to WAV. It doesn’t play all GBS files and the sound quality could be better, but it’s mine. You Are The Münster, another Ludum Dare game, made in duo with merwaaan. The theme was “You are the monster”, and… well, the pun was too tempting. It’s a platform game with unlockables (à la Metroid), though we only had the time to put two areas in the game. The art is much better than my previous solo attempt (because I made only half of it! 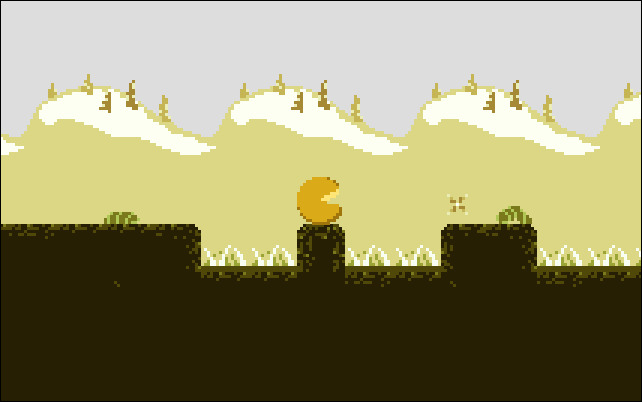 ), and there’s even a homemade background music this time. 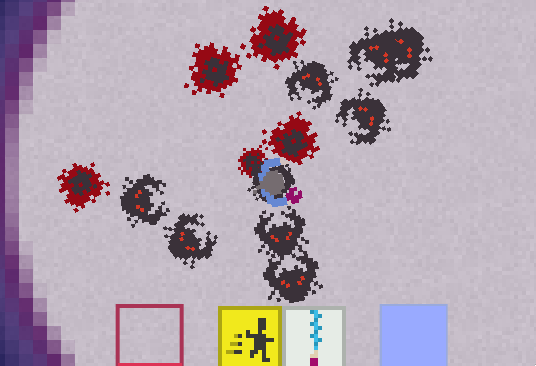 Jumping can be a bit frustrating at times, so we added checkpoints. 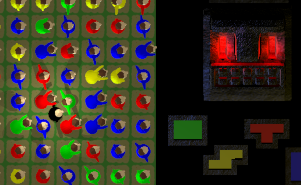 LD48, a game made solo, in parallel to the Ludum Dare 29 week-end, but not part of the competition. It started as a minimalist action-RPG, but I had too much fun and added homemade pixel art and sound effects. Now it’s neither minimalist, nor particularly fun. Still had a good time making it. 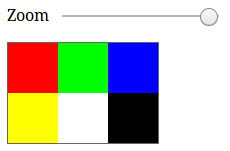 webppm, a NetPBM viewer for the web. Drag and drop a PPM file, use the slider to zoom. Made for my students after I couldn’t find a decent multi-platform PPM viewer. bump, a satirical productivity hack. Click every time you finish a task, and bask in the glory of your achievements. The original version was made during my research internship at my University and had a scoreboard with the names of all the interns. It only works if you believe in it. 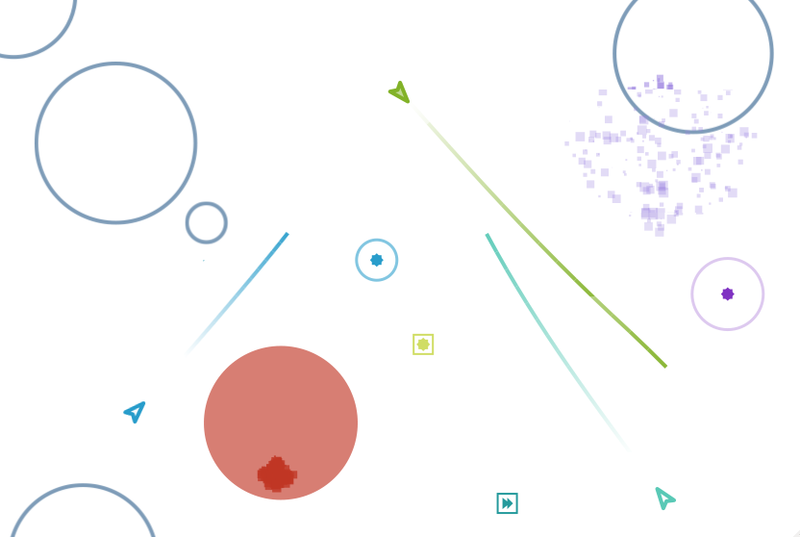 Sparkets, a multiplayer space shooter made for HTML5 browsers. 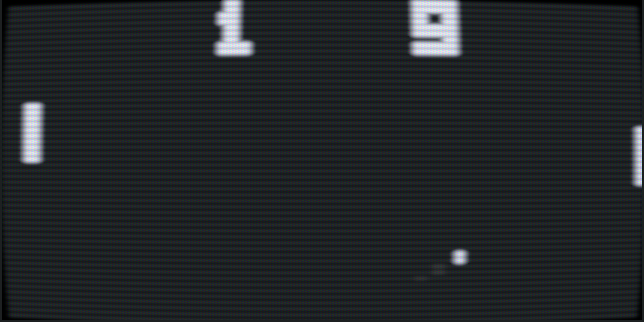 Inspired by the games Spacewar! and Slingshot, it started as a toy to learn HTML5 Canvas API, node.js and WebSockets. Together with merwaaan, we kept adding features and playing the hell out of it. Never got to a shippable state, but it’s still pretty fun. 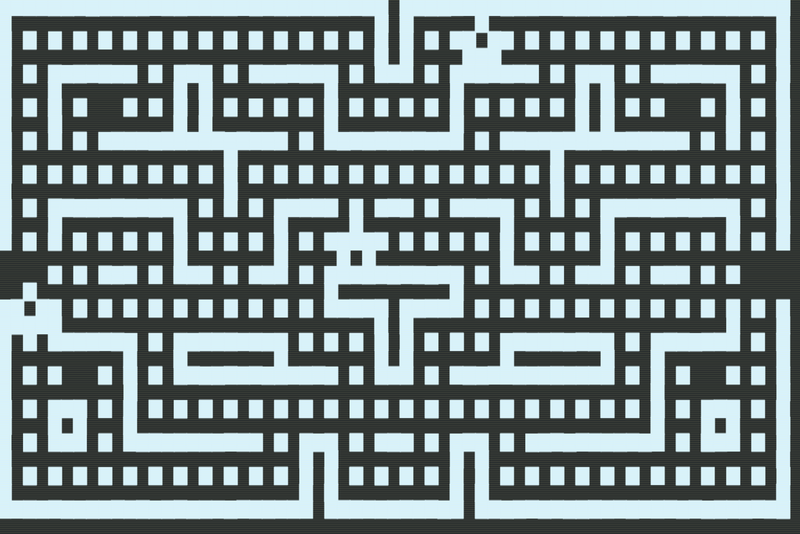 Laby-o-matic, a maze generator made as an assignment for a graph theory course. 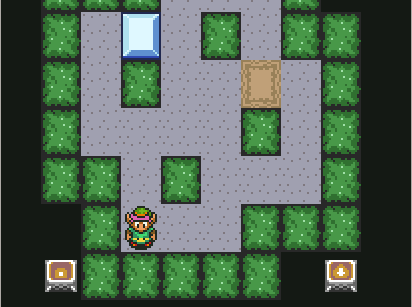 It generates paths that are usually quite long, but with few deep branches, so they are not hard to solve. 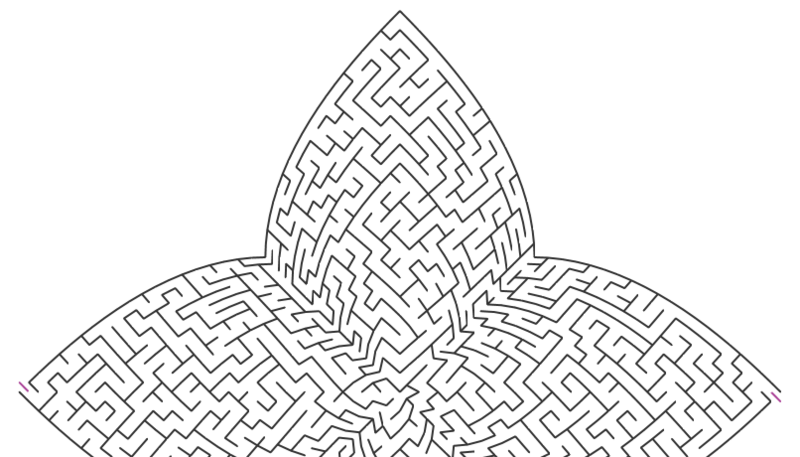 Though it can generate different shapes for the mazes, so at least they are pretty to look at. Monte-Carlo Connect Four. I read that Monte-Carlo methods were effective for Go AIs. 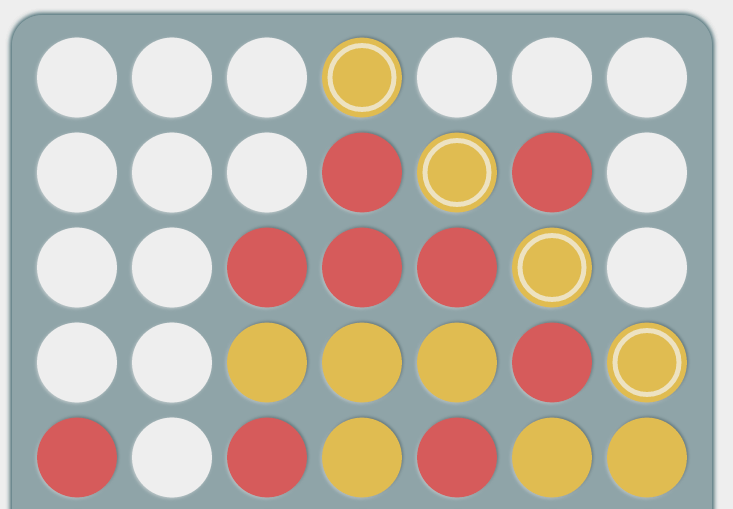 I wondered how that worked and if that would make a decent adversary for Connect Four. Although it’s not very strong, it still caught me off-guard. Plus, the algorithm was rather simple to write. shinkoban, a Sokoban with sprites blissfully lifted from a famous SNES game. This was initially a class assignment that I elaborated upon and polished in a few days before applying for an internship at a local game company. Got the interview, not the job. Still felt pretty good about this game. The levels were not mine, and they get pretty hard towards the end! Lectures notes, taken during my Computer Science degree at the University of Le Havre, in French. I transcribed most of my math classes in LaTeX (live, save for diagrams and hairy equations), and put them online for other students and teachers to use. See my Github page for source code for all of the above, and other one-shots.